Is Rain More Dangerous Than Snow And Ice? Believe it or not, rain is more dangerous in many states than snow and ice. This is largely due to the fact that rain is so common in many states. Also, drivers aren’t as cautious in the rain as they are on snow or ice. In a report compiled by the Auto Insurance Center, based on the National Highway Traffic Safety Administration’s fatal accident data from 2009 to 2013, it was found that rain caused more fatalities than snow, wind or fog in 39 of the 50 states. Don’t underestimate the dangers of driving in the rain or on wet roads. According to the U.S. Department of Transportation Federal Highway Administration, 1,312,000 out of an average of more than 5,870,000 vehicle crashes that occur each year are weather-related. Breaking down this record, an average of 6,250 fatalities and more than 480,000 injuries are listed as weather-related crashes each year. 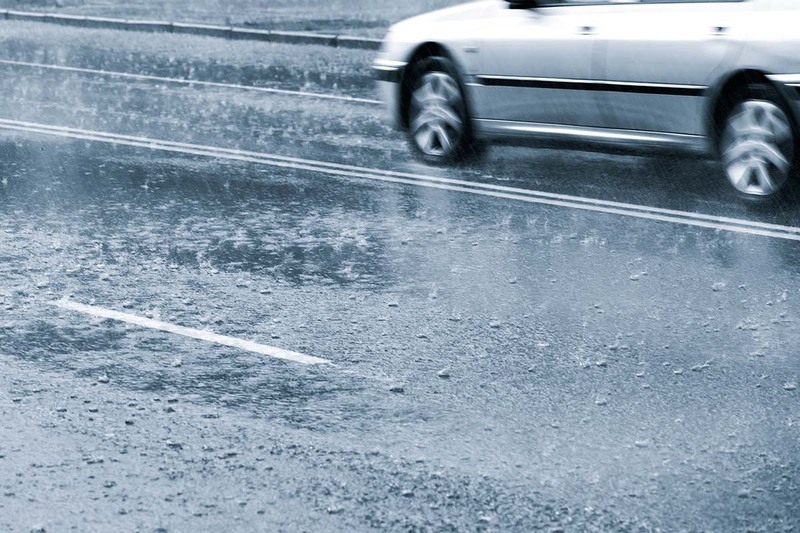 About 74% of these crashes happen on wet roads while 46% occur during rainfall. While rain is a significant factor in these crashes, we can’t forget how important our driving behavior is while driving. Crashes can be prevented, and we can remain safe while driving on wet roads just by practicing safe driving habits. Conduct a maintenance check. Your car will be working harder on rainy days. Make sure your car is prepared for the tough drive. Check all your main controls - from your brakes and steering to your accelerator. Also, don’t forget to replace brittle or worn out windshield wipers. Avoid using cruise control. Cruise control works best on dry roads. When you’re driving in wet conditions, cruise control is not recommended. You need to be able to react fast to any situation, and the cruise control prevents you from doing so. Leave early. Hurrying is not an option on wet roads or in rainy weather. Your trip may take you longer in rain and bad weather than it does on sunny days. Note that many motorists slow down in bad weather. This could be because of poor visibility and cautious driving. Along with slower moving traffic, expect traffic to build-up. You may want to look into alternative routes before leaving your house. Your go-to route may be congested. You need to have a plan B so you can reach your destination safely and on time. Maintain a safe driving distance. Always leave space between your car and the one in front of you. In bad weather, you may want to leave about a four to six second gap if possible. This will give you time to react if something unexpected occurs. As a Kentucky Car Accident Attorney, I would like to remind everyone to please also watch out for pedestrians. Remember that you are not only sharing the road with other motorists, but people as well. We all know that pedestrians are harder to see in general because of their smaller size. We have to be extra alert of our surroundings in rainy or bad weather.